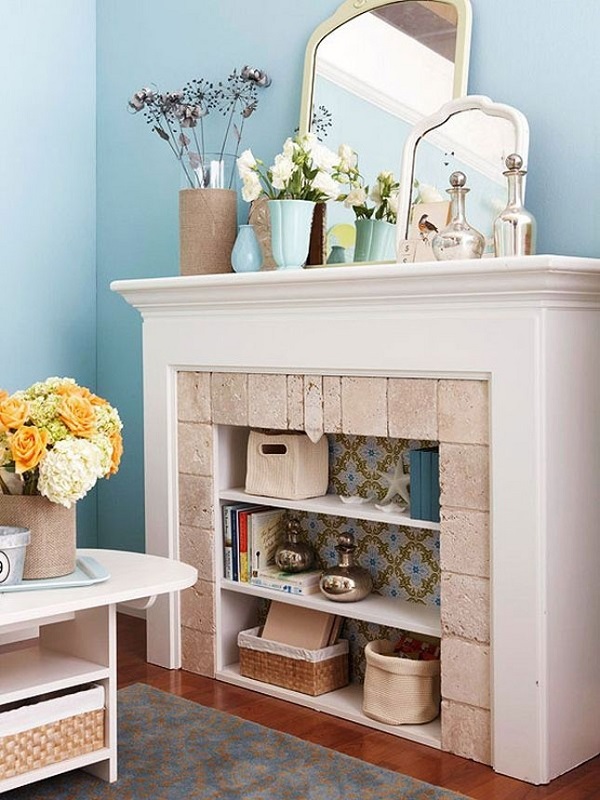 When we say that a fireplace can enhance your space, we’re usually talking about your home. However, a fireplace can work very well in a workplace too. 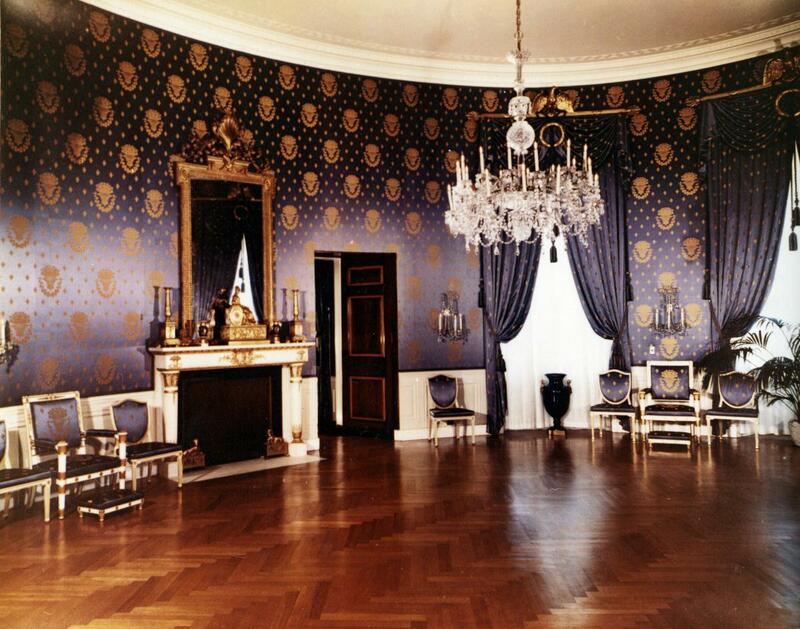 It doesn’t have to be as magnificent as the one used in the picture above – after all, that is a meeting room in The White House! – but even a simple fire surround can add great character to a workplace. Here’s a look at how we’ve helped a couple of our clients create stylish work spaces. We were delighted when we were approached to create a focal fireplace for a company meeting room. To save space, our client didn’t want a particularly deep fireplace that projected into the room. 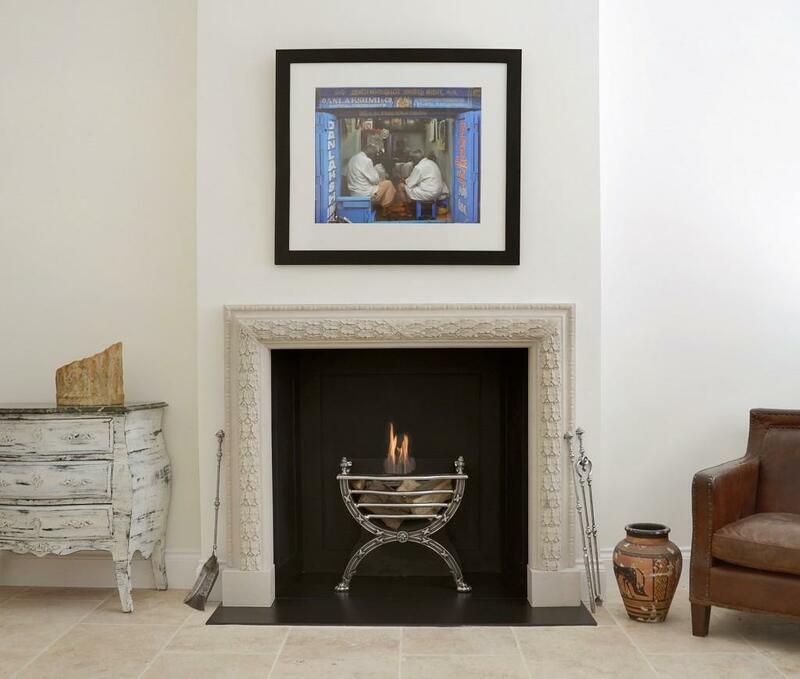 We chose this shallow Portland stone bolection fireplace, which neatly sits close to the wall. We kept the interior of the fireplace simple and black, with a dark slate hearth, and created the steel fire basket especially for them. The result was a subtly elegant and inviting touch which gives a bit of personality to a meeting room, and creates a lovely environment for the team. 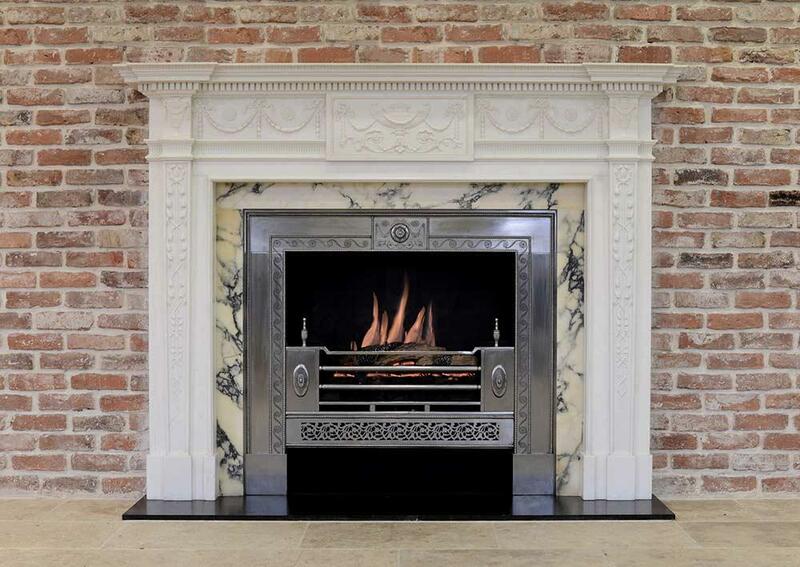 To recreate this look, try this Portland stone fire surround, which can be made in any size. We have a large collection of antique and reproduction fire baskets. This cast iron and brass basket is close to the one used in the meeting room. Here’s another example of an office fireplace that we worked on. Doesn’t this beat Formica chairs? Waiting for a meeting or appointment in this contemporary London office would be a real pleasure, thanks to this bespoke club fender. Club fenders developed in eighteenth century gentleman’s clubs as convivial benches around the fire. In this very different setting, the fender remains inviting, and is a fabulously unusual breakout space in the workplace. 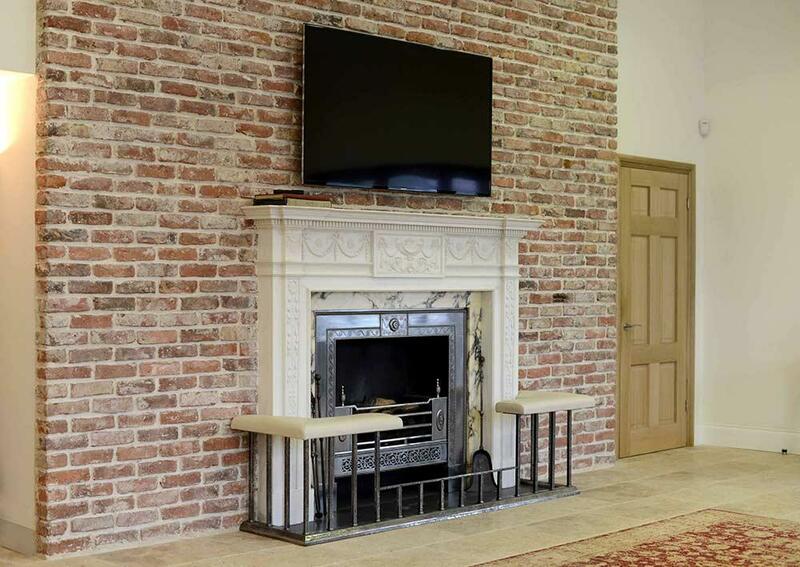 The fireplace itself needed to provide contrast against the reclaimed brick wall. 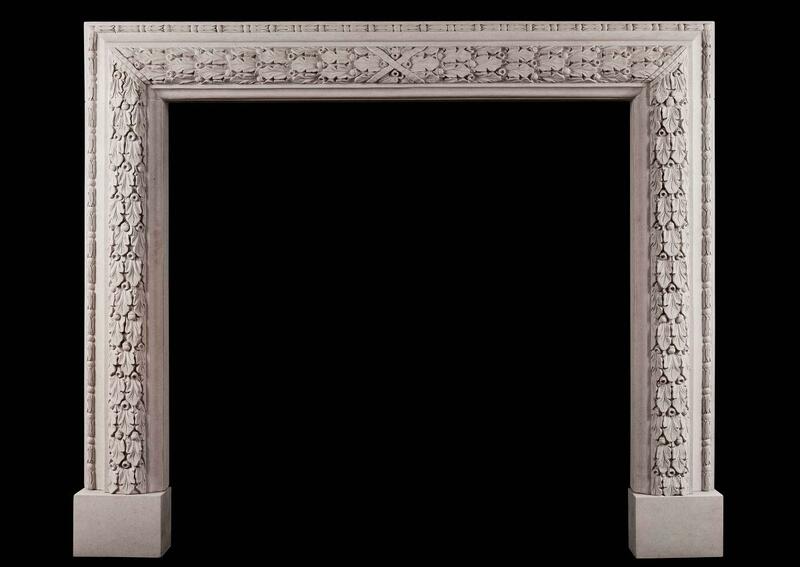 The client chose a Georgian style marble fire surround with exquisite carving, complemented by the brushed steel register grate. We can design a bespoke club fender that perfectly fits your fireplace. 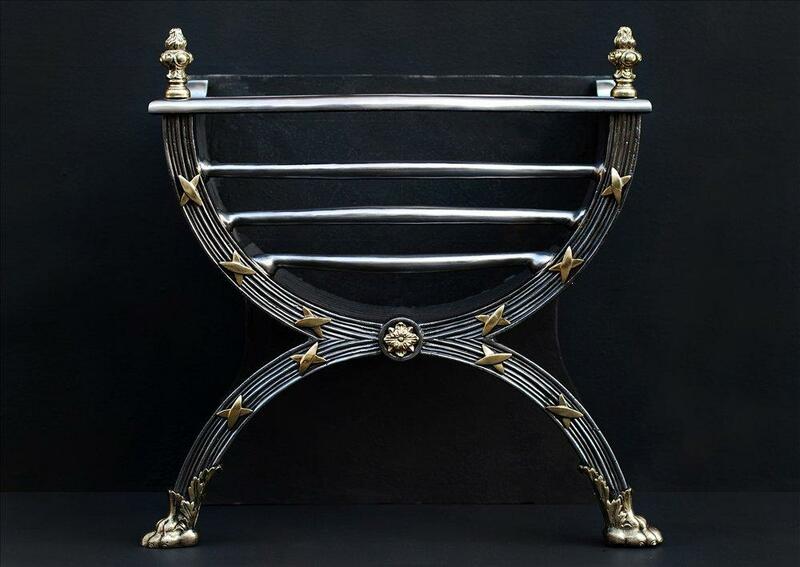 Choose between steel and brass in a clean or antiqued finish, and the benches can be upholstered in the material of your choice. This customer chose a lovely creamy leather finish, keeping that touch of gentleman’s club style. If you work in an older building that already has antique fireplaces, don’t just use the mantelpiece as a handy shelf. If you’re not able to reintroduce an open fire (your health and safety rep has just choked on their cuppa at the very thought), try adding a touch of interest to your workspace with some imaginative ideas. It can be a safe spot for the ubiquitous office plant, and using it as a shelving space is always a good option. From decoist.com. Maybe a bit feminine for most offices, but you get the idea! 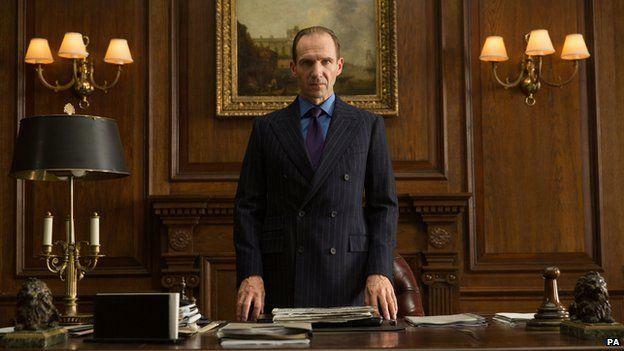 If you secretly want to be M, or just like the idea of creating a more attractive room for your colleagues, do get in touch. 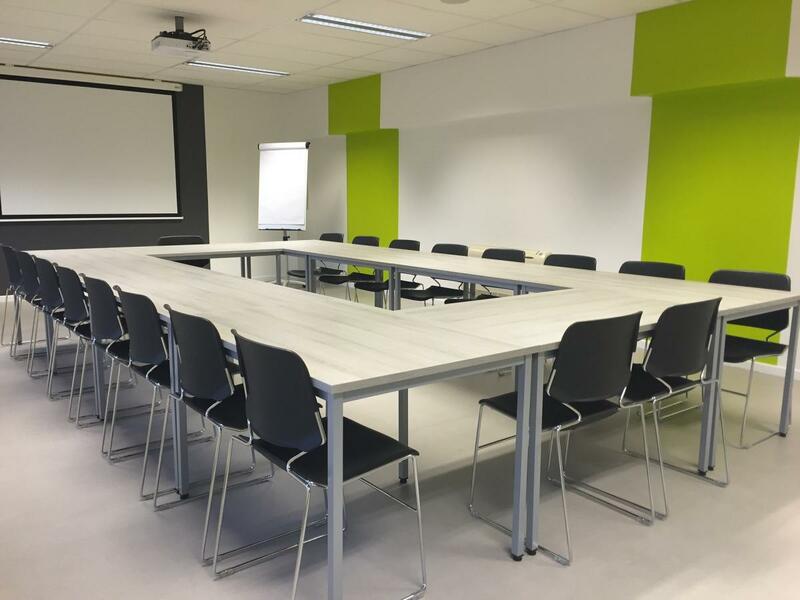 We’ll be delighted to help create a great space for you and your team.